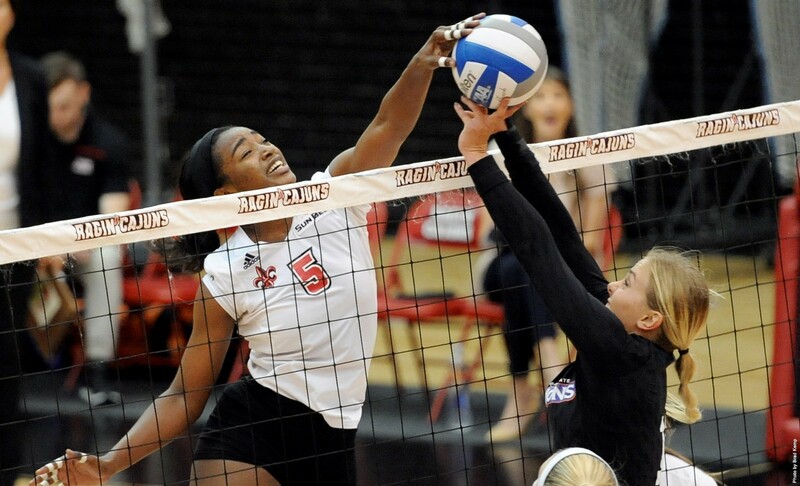 LAFAYETTE – Former Louisiana Ragin' Cajuns Volleyball standout and St. Martinville High product Chanelle Gardner has signed a professional contract and will continue her volleyball career in Germany. Gardner has joined VC Printus Offenburg in Germany's Bundesliga. She is scheduled to join the team on Aug. 9 with competition beginning on Aug. 18. "I'm extremely excited for this new journey in Offenburg," Gardner said. "It has always been a dream of mine to become a professional volleyball player. Now I'll be able to live out my dream and will be do it to the best of my ability." Gardner, a member of the Ragin' Cajuns Volleyball team from 2013-16, is the program's career kills leader in the rally scoring era and was the first to reach 1,000 kills playing an entire career under the format which was adopted in 2001. She was the premier middle blocker for the Ragin' Cajuns, finishing as the team leader in blocks all four years of her career and totaling 365 in her career (second-most in rally scoring era). "I am very proud and excited for Chanelle to have this opportunity," Louisiana Ragin' Cajuns head volleyball coach Heather Mazeitis-Fontenot remarked. "She is realizing a dream she set for herself a few years ago. "She worked to improve her game and pushed to make this happen," Mazeitis-Fontenot added. "She is only going to get better and is a great example of staying diligent with your dream." For more information on Louisiana Ragin' Cajuns volleyball, as well as all of Ragin' Cajuns Athletics, visit RaginCajuns.com. Fans can also follow along with the team on Facebook (/ULVolleyball), Twitter (@RaginCajunsVB) and Instagram (@RaginCajunsVB).